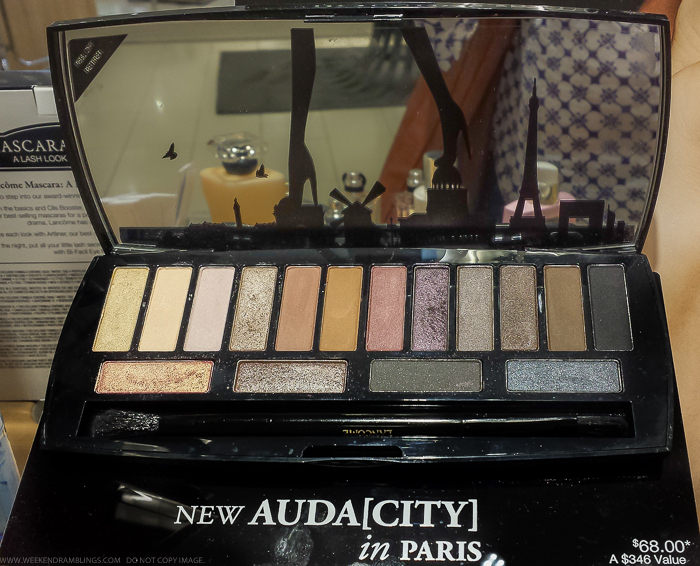 The Lancome Audacity palette has 16 eyeshadows, a couple of which are available as singles in the existing Lancome eyeshadow range. In the press release I received, these eyeshadows have been grouped into quads (3 shadows on top row and 1 down) to create eye makeup looks that range from soft to super smokey, but there are a ton of makeup combinations that are possible with this palette. 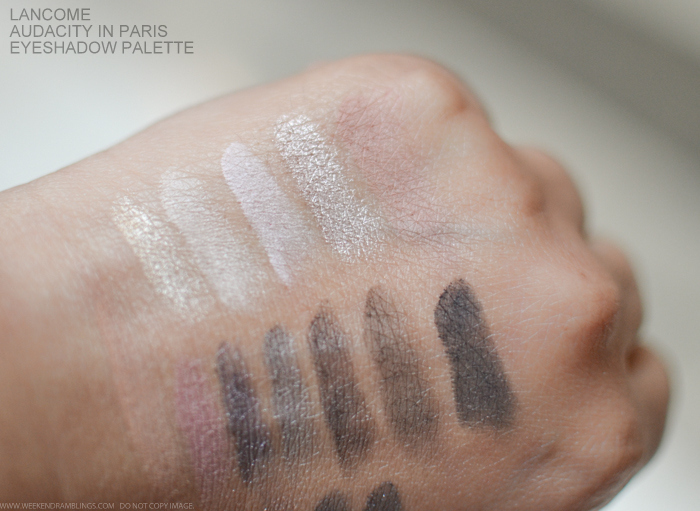 The eyeshadows themselves didn't seem too bad on swatching. The lighter colors don't show up too well on my darker skin tone - and the lighting was off that day - but for the most part, the shadows do seem pigmented and should work pretty well over a primer. 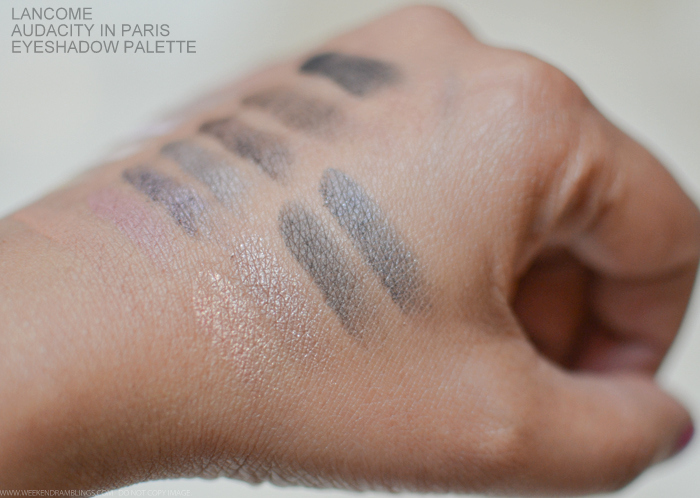 Here's a look at some swatches. 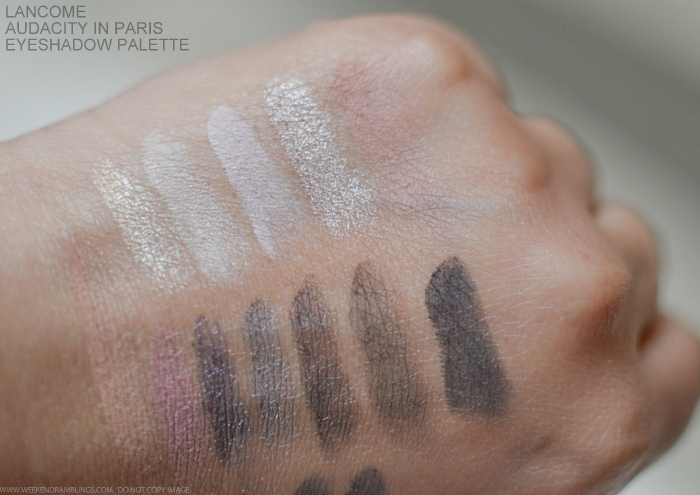 Apart from the lightest shades, most of the other colors would work easily even on my darker skin tone. I loved the mix of shades - warm browns and soft mattes for blending along the crease and smokey rich colors for darker eye makeup looks. The shimmery shades don't seem too glittery or chunky either. 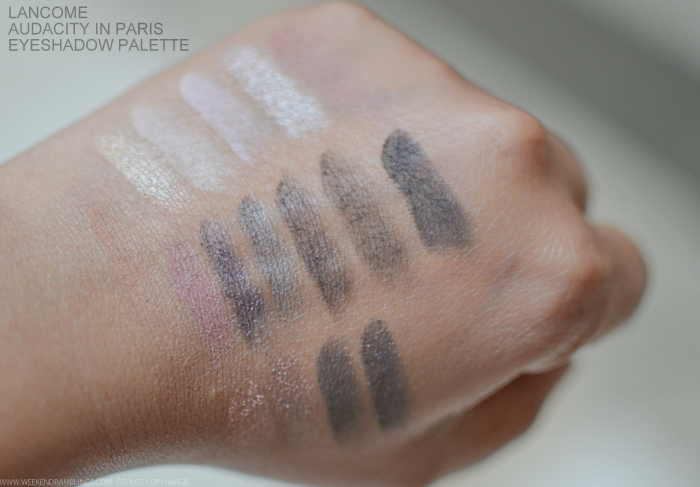 While similar to the UD Naked Smoky palette, I think the Lancome Audacity palette has a bit more options in terms of warmer tones which I prefer. I haven't tried any Lancome single eyeshadows to compare these with, and while I did read reviews online suggesting the singles have better formulation (no surprise really - seems to be the trend with most makeup brands), it is quite convenient to have these eyeshadows in one compact palette. The few faults that I did find are more to do with the design of the palette rather than the shadows themselves - the palette seems a little bulky, and I had some difficulty getting the palette to open. 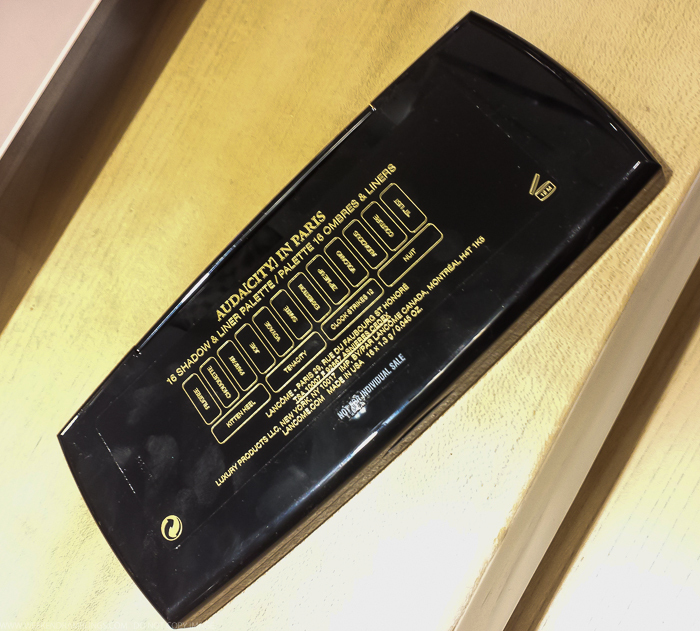 Not sure if that is an issue with the tester, though. 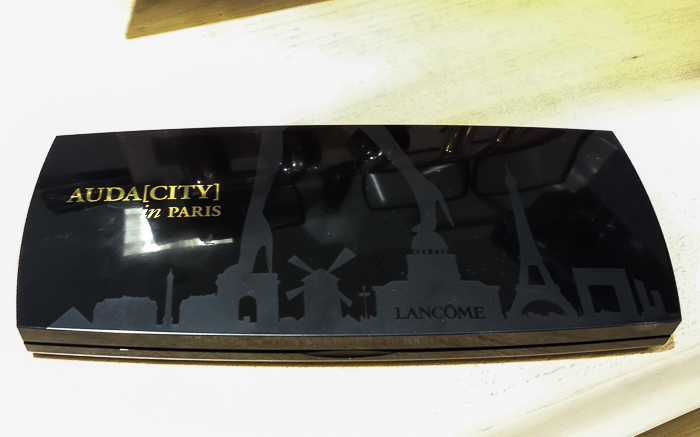 There are a lot of neutral eyeshadow palettes available now, so it is difficult to call any one particular palette a must-have, but I do think the Lancome Audacity Eyeshadow Palette makes for a good pick if you are looking for a palette that will give you a wider range of colors to work with while still staying in the neutral-smokey territory.